The weekend is here!! Woohoo!! It’s time for fun and play and today I’m going to try and give you the run down of things that you could possibly do to make your weekend a fun and joyous time. Movies, food, and just regular old fun! These are things we do to make our time pass without that feeling that you’re not just sitting around wasting time. This year has provided a nice substantial amount of movies of just about every genre available to us. If the picture doesn’t tell you what this is, then you certainly didn’t have a childhood. 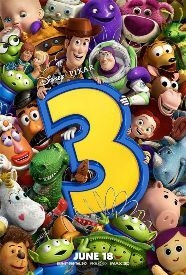 Toy Story 3 is a must see movie and in my opinion the movie that highlights the year of 2010. It’s the last installment of the Trilogy that most people from my generation grew up on and it’s absolutely beautiful. There is no other words to describe this fantastic movie. It’s for any one and all ages, so check it out and enjoy! Kudos to Pixar! 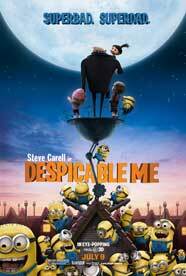 Despicable Me was not what I was expecting, it was better. I saw this film last weekend with my friends and I loved it. It’s funny, has a good story, and it keeps you focused on it. It’s about a Super villain whose dream is to steal the moon, but he comes across the problem of three young orphans, who he takes care of. The transitions the character goes through are very family oriented. It’s fun and adorable! Calling all Avatar fans! Do Not See This Movie… unless of course your stuck into taking your younger family member to see it. 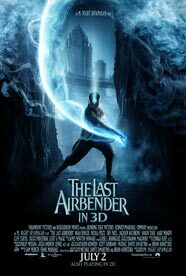 I am a Die Hard Avatar fan and I have to say this movie was a very big disappointment. Too many things were not correct as far as story and characters. The movie was 2 hours of very bad acting and even worse character/person matching. Don’t worry, the movie will not blind you, but for anyone whose never seen the animated series, it sets the wrong example. Good graphics however. So, my first impression of this film was that it was another movie that looked great in the trailers, looked like it was hilarious, and did a great job. I’m surprised to say that that was exactly the case. Grown Ups was knee slapper quality, and if you do not know what that means, it means “Laugh so hard you can’t stay still and slap your knees.” Great combination of actors and a story that wasn’t all too predictable. This is a great comedy to check out and if your up for a nice laugh, you should go to your nearest movie theater and see it! If your into action, then this is your movie. The next installment in the Predators series is out and it’s just like it was in the beginning; Humans running and big, bulky, aliens chasing them down for laffs and giggles. It’s the typical Predator film and it’s everything you expect from it. Guns, blades, and blood is the theme for this movie. Keep the kids at home (and if you are a kid, go beg your older sibling) and see this movie, it will get you nice and worked up. This is a brand new movie staring Leonardo DiCaprio and it’s big! 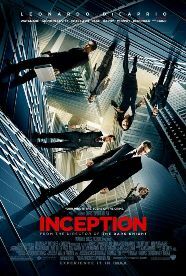 Inception is supposedly said to be Star Wars meets the Matrix, or something along those line. It’s been long awaited and I’m pretty sure today, on it’s debut, fan girls will be running to see this film. It looks very interesting and so far, DiCaprio hasn’t disappointed me in any of his newer films. If your up for a good looking, stay-on-your-feet thriller, then this is your ticket, or I hope it is, cause I will be seeing it today! So these are the movie highlights of the weekend. Take a look and go see these films, then come back and tell us what you thought. Maybe I was too harsh or too lenient? Who knows, so come and discuss!